Tennessee Governor Bill Lee today appointed Chancellor Carma Dennis McGee to the Tennessee Court of Appeals, Western Section. She will replace Judge Brandon O. Gibson, who was appointed as a senior advisor in the Office of Governor earlier this year. Chancellor McGee, 48, has served as the chancellor of the 24th Judicial District since 2014. Prior to becoming chancellor, she practiced law as partner in the firm of McGee & Dennis. She also served as a Rule 31 Listed Family Mediator for ten years. Chancellor McGee earned a Bachelor of Arts from Union University and a Juris Doctor from the Cecil C. Humphreys School of Law at the University of Memphis. Chancellor McGee and her husband, Todd McGee, who is a teacher and coach with the Hardin County School System, have two teenage children, Sarah Beth and Caleb. Under an amendment to the Tennessee Constitution passed in 2014, the Governor’s appointments to appellate courts must be confirmed by the General Assembly. 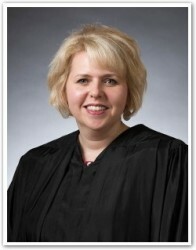 After she is confirmed by the General Assembly, Judge McGee will be subject to regular retention elections. Once confirmed by the General Assembly, Judge McGee will be one of 12 judges on the state Court of Appeals, which hears appeals in civil cases from state trial courts. Appeals from the Court of Appeals go to the Tennessee Supreme Court.